Manhattan County Beach is classic southern California, with surfers, sunbathers, a pier with a small aquarium at its end, and over 50 volleyball courts along its two-mile stretch. The Strand •Trailhead: Foot of Manhattan Beach Blvd. •Length: 2-4 total miles •Typical Width: 4 ft. & above •Typical Grade: Level •Entry to the trail from Manhattan Beach Blvd. is up a moderately steep slope, but the trail itself is quite level. From the north section of the Strand, a few connections to the Marvin Braude Bike Path are quite steep and have a steep cross-slope. •Terrain: Hard Accessibility: •Accessible Visitor Center: Yes •Beach Wheelchair: Yes •Two beach wheelchairs are available at the lifeguard headquarters near the El Porto parking lot. Call (310) 372-2166 to arrange for one, or go to the lifeguard station at 26th St. •Accessible Parking: Yes •Beachside lots at the foot of Manhattan Beach Blvd. and the El Porto lot at the foot of 45th St. are free with a disabled placard. 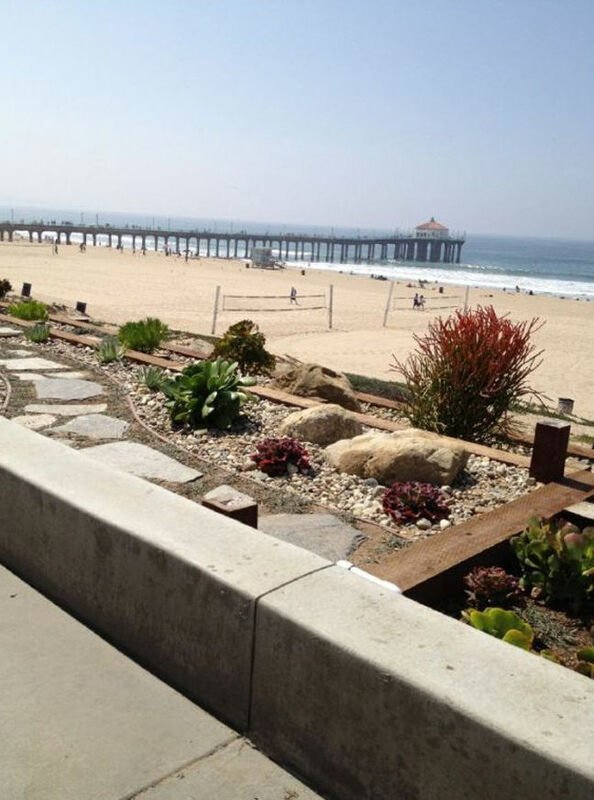 For the pier and beach, park in the small lot at Manhattan Beach Blvd. ; the El Porto lot is closest to the building where the beach wheelchairs are stored. There is a steep hill between the beach and the other public lots and street-side parking. •Accessible Restroom: Yes •Some restrooms along the bike path are accessible, but the routes to them from the Strand are steep and have a cross-slope that can be challenging to navigate. The restrooms at the pier and aquarium are easiest to access from the Strand. The restroom closest to the building where the beach wheelchair is stored is not accessible.